I wonder if Chris White has checked out other war prophecies in the Bible because this is not so strange as he thinks. Psalm 83, which I think is parallel to Isaiah 17, is similar. While an actual battle is not outlined, we do have a conflict described between Israel and confederacy of ten foes. We have their plan to destroy Israel. We have an outcome requested in the prayer: the utter obliteration of the foes. That prayer request is key. Note that the foes would only need to be obliterated by God if they go ahead and execute their plan to make war. Asaph would only pray for this obliteration because he knew the planned attack would happen. In other words, the harsh prayer makes no sense unless the war is a given. There’s nothing wrong with a prophecy that has enough key parts of a war to label it a war prophecy, even without the actual battle described. Many prophecies have only parts of the picture and must be combined to get the full picture. Proper Bible understanding demands we are more flexible in connecting the dots than how Chris White seems to do it. The video argues that the events of the psalm already existed or were fulfilled. This proves nothing. Fulfilled prophecy can happen again, and it often does in the case of dual prophecy. There is usually no way to be sure the prophecy is completely fulfilled and done because prophecy can be dual. For example, Hosea 11:1 talks of the fulfillment of prophecy in “God’s son,” Israel, leaving Egypt. It does not look like a prophecy and maybe to Chris White would argue it was not back in the day. But to Matthew it was. He quoted Hosea 11:1 in Matthew 2:15 as also being fulfilled when Jesus’ family moved back from Egypt to Israel. This is an example of a dual prophecy and a passage that does not look like a prophecy. Also, the fact is that many psalms are prophetic. The gospels show this by often stating that something Jesus did fulfill a passage from a psalm. How do we know for sure which psalms are prophetic and which are not? Finally, contrary to what Chris says, it is highly relevant that the author of the psalm was “a seer” (2Ch 29:30) or prophet. While that does not prove the psalm is a prophecy, it certainly means the psalm warrants careful consideration as one. Some scholars say there is no historical event that matches the psalm, others do. If it has not happened before, it would add weight to the theory that it is a future event. If it has happened, this does not mean it cannot happen again because it can always be a dual prophecy as mentioned in the previous point. Even in the Bible history itself, it is common to see events repeat. History repeats itself because humans in similar situations will do similar things. Therefore, even if an event like Psalm 83 happened before nothing prevents it from happening again. Most of the Bible is “not prophecy” so by this reasoning we could find similar passages to prophetic passages to debunk them being prophecies. You could also say this specifically about the psalms of David. I bet very few if any of the psalms of David were “obviously” prophecy of the Messiah to people before Christ came. Yet the gospels record many of the events of Jesus’ life fulfilling passages in the psalms. Who knew? Obviously, then, it’s not safe to use this line of reasoning. Of course his defense of his position were not convincing to someone who holds an opposite position! A key lesson I have learned from teaching and debating the Bible is that you cannot prove your Bible position to other Bible believers. You cannot convince them you are right and they are wrong. The Bible is just written that way, open to interpretation and allowing for many views. 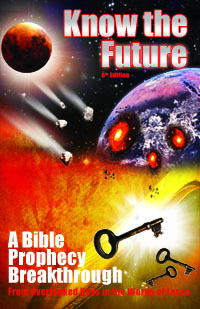 For example, as crazy as it sounds, you cannot prove that the Book of Revelation is future prophecy to everyone. This is why there are Preterists and Historicists out there. They are “unconvinced” by futurist arguments. You cannot even prove that the seven letters to churches of Revelation are prophetic to everyone. By the logic of Chris White, these seven churches “existed in that time so they don’t have to be prophecy.” Yet they appear in the most complete and important prophecy book in the Bible. I’m convinced they speak of both seven church ages and seven actual first century churches. That I cannot convince others of this does not make my theory false. Such harshness surprised me. I guess when someone believes speculation themselves (Ice is a pretrib rapture apologist), they can’t recognize real speculation when they see it, or maybe he labels everything he disagrees with as speculation? For me, utter speculation would be something like the “2012 Mayan Prophecy” theory–based on a calendar, not the Bible. Or the popular books of Jonathan Cahn (The Harbinger, The Shemitah) which predict “stock market collapse” or “curses in Sabbath years” and other ideas not found in any literal Bible passage. Or Mark Biltz and John Hagee‘s Four Blood Moons theory which take a couple verses out of context and make predictions for Israel mainly based on cherry-picking a few past tetrads that happened somewhere around bad events for Israel. It comes from the plain literal reading of a chapter of the Bible! (Quite refreshing in this time of completely fabricated prophecies like The Harbinger, The Shemitah and Four Blood Moons.) This at least means the theory is not at all deserving of the label “utter speculation” like those books are. Psalm 83 is right there in a part of the Bible with many prophecies including previously unrecognized or hidden prophecies. Psalm 83 is written by a prophet, Asaph. Psalm 83 describes what other unfulfilled OT war prophecies also describe. I’ve known of Psalm 83 and believed it to be a prophecy since the 1990s, long before Bill Salus came out with a book on it. Why? Because of its own merits listed above. Click here to read my article on Psalm 83 and what’s holding it back. While I like your take on events like we will experience great tribulation before the rapture, your timetable is far too long. I think you are not privy to a number of other events and actions by local governments that suggest that we are now moving into events that will happen this year, not several years down the road. Many people are seeing visions (seers) whom agree on important points, namely the same event. A lady named Angela Whitworth on Facebook had a vision about this asteroid due to land September 25th, described 3 days of darkness starting when the rock hits. She describes it as a passover event, that believers should block light from all windows and doors, and don’t venture out or even look out any window for 3 days, else you will die. There will be fragments from that asteroid raining down on earth those three days, God’s wrath on the wicked, which will cause 5/6 of all people in America to perish, a massive loss of people. The darkness would abate after 3 days, then the rapture would come. God will reach out to those he wants to save. There are other facts like the end of Daniel’s 70th week is 2017 or the Whitehouse mandate to chip all Americans by 2017. There are many other events that follow this timeline. I think the global financial collapse and martial law should bring you some clarity. You may think my timetable is too short, but I have a track record of success saying this and history on my side. I’ve been right saying nothing is going to happen on record since 2007 http://www.escapeallthesethings.com/2015-prophecies.htm (and knowing this ever since I figured out Wormwood and Sabbath year cycles in 2002-2003). I can do this because I know none of the rumors and speculations collected off the internet have any predictive value in when the Psalm 83 war is coming (or anything else). The only thing that matters is what has kept the Arabs since 1973 from invading Israel together? Israel’s nukes and her willingness to launch them at the Arabs and the Arabs lack of nukes needed to match that. That’s it. Until that changes the Arabs are not going to fulfill prophecy, invade Israel (Isaiah 17) and get nuked and turned into tumbleweeds (Psalm 83). Bob, I’ve been accused of missing “signs” and not paying attention to Christian “words” and “visions” for years and meanwhile I have a long record of being right in calling off the beginning of the end every year and years in advance. Those things never seem to pan out. Until we see that, it does not matter how many ME “wars and rumors of ME wars” there are or how many visions Christians share. The end is not coming until Wormwood approaches. Also there won’t be any financial collapse until America falls as Rev 18 says: http://www.escapeallthesethings.com/america-mystery-babylon-great.htm and then it’s a global collapse and “nobody buys the merchants goods anymore” (Rev 18). In effect all these things you cite are like deck chairs on the titanic moving when ahead is the real end, an iceberg named Wormwood. Great response Tim, I just don’t put any stock in what a person says they saw in a vision dream etc..I think if a dream God would give it to us all now that mite be a sign, but still have to prove all things I think. Without being theologically pugilistic, the penultimate sign of the end is literally stated in Matthew 24:14, is it not? “And this Gospel shall be preached as a testimony to all nations (ethne) and THEN (caps are mine) the end shall come.” It appears, that without ignoring the other signs, THIS (getting the gospel to all people groups) is where we should be occupying our time and focus. Selah! Well, Mt 24:14 is not an implied command to us to preach. It really means the Christian churches have not been teaching the Gospel or how could it be an end time sign when it happens? No, it will be prophets of God, Elijah, the 144,000 who finally come and teach the Gospel of the Kingdom Jesus taught just as the Apostles did and stopped doing 1900 years ago. Certainly something outside Christianity which has no knowledge of the good news of the kingdom Jesus taught. Before that comes the Psalm 83 war must happen for several reasons. Not that it is a sign either. It’s all just order of events, you see? Now as far as what we “should” be doing (and I truly dislike using that judgment-loaded word), Jesus never told the masses to go into all nations and preach. That he only told to the apostles and disciples he equipped. The MASSES he told only to love God and love neighbor by shining their light and bearing fruit. (That’s us; we’re not the apostles). One of the ways we show our love for God is by putting time in his word, such as Bible prophecy. When Christians preach and don’t really know the word, now that’s a scary sight. Tim, you seem to have an uncanny knack of drilling down through the chatter and arriving at a sensible understanding of scripture. As usual, you don’t disappoint in your latest monthly newsletter, thanks and please keep up the good work. Paul rebuked the practice of some of the early church members who entertained, or listened to their familiar spirits. He tells them to try the spirits as to whether they be of God. I’m thinking Paul would not have condemned this practice if he believed these church members were listening to the Holy Spirit and not deceiving spirits. I heard a comment years ago from our church’s pastor, “Satan will float a thousand truths to get to that one lie” I would ask, who stands to gain from a spirit of confusion? Could it be that some if not much of the concepts and beliefs in today’s typical prophetic commentary may have been initiated in the minds of it’s authors by spirits such as this? Thanks, Craig. Thankfully, a few people can appreciate what I do and some of those support me. Yes, as Christians don’t know how to “test the spirits” as John says, so they can’t help but listen to them and only assume they are the HS speaking. A bad assumption. Tim, although I believe you may be onto something and I recognize that a lot of the Bible is not chronological, I would say that there is never a name given and tied to something in which the name is NOT important. That being said I recently decided to re-evaluate my current thinking on the Gog/Magog war as I call it in view of the Rev 20 element. I think there could be two wars, but we know the source of these wars is Lucifer (he likes to be called by his light bringer name by his followers). Therefore knowing the identity of Gog, Magog, Gomer etc. might be and probably is very important. Gomer goes far back in the lineage of Japeth. The lineage of Japeth seems to have aligned itself with first world religions the knowledge of which was brought through the flood by Noah. One of these is responsible for all the swastikas we see in every part of the world where structures exist the technology to build no longer exists, which in my OPINION and my SPECULATIVE sense means that symbol is rooted in the first world culture. This makes me think, “might Gog be one of Lucifer’s favorite tools the Aryans?”. He has used them many times throughout history and since the Archaeological evidence is all over the world, it may valid. This would indicate a return of the Aryans, which current events ie: The West Ukrainian coup conducted by the USA through it Nazi proxies. I know most scholars believe the Gog/Magog war has something to do with Islam, and certainly if Walid Shoebat is correct, Islam will be used by Lucifer to usher in the NWO, especially if his theory about the 666 being a scribo (like a typo without the typewriter) and really being the symbol that goes on the forehead of the Islamic warriors. Who is to say? We are all seeing through the glass darkly and none of us has cornered the market on Scriptural interpretation. One of the things I think that has clouded the perceptions of the many good Godly scholars who have come before us and are here with us, is a lack of willingness to see just how dirty the USA, formerly, America the beautiful, beacon of freedom has become. Since the wonderful peace bombing of Libya by our peace loving savior and his Military industrial complex the Pentagon, it is becoming very difficult NOT to see that the hijacked USA is going to be the main driver of ALL the evils to come. The USA proxy war with Russia via Ukraine and the formation of ISIS through the proxy war in Syria, both as tools to harm the Russian economy enough to block the formation of the BRICS economic independence. Therefore if Gog is NOT Putin’s Russia, it well could be a re-establishment of the Aryan brotherhood and that couldn’t be good for anyone. Would you think it might be important to identify Gog if such a wild idea might be uncovered at some point? There are Aryan groups in every white nation, and I doubt Europe is lacking in leaders that are closet Aryans. 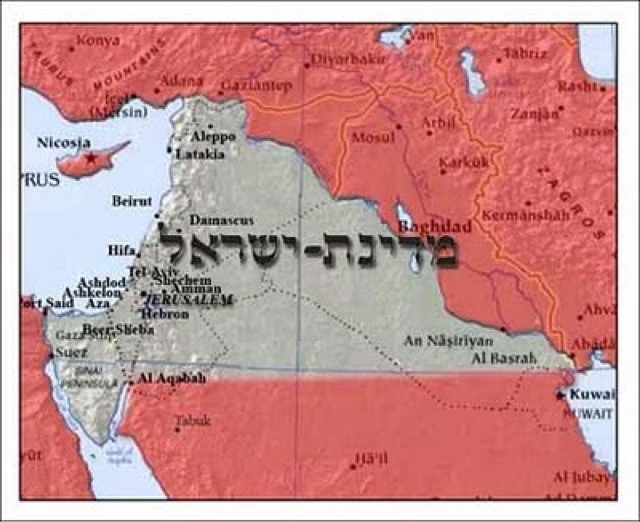 NATO is as dirty as the USA, so when the prophesies tell us they come from the North, even as far east as Tubal, we should think in terms of what cultural entities inhabited those lands back in the days of Peleg when the division took place. My fellow American brothers and sisters would love to put their hands over their eyes and ears, but never their mouths and think of this a Russian and Islamic problem and not an end result of USA imperialism. As I said you seem to be onto something, but I think you have not gone deep enough to really uncover how it will truly play out, but then none of us have ALL the answers. We will know very soon just how it went, and those of us who consult sources other than the Main Stream Press, will see the true facts as they happen. I wanted to address a couple of points littered in the blog postings above. Tim, you stated that nowhere in Matt 24:14, did Jesus say it was a sign, but in the sequence of Matthew 24 we find Jesus giving his disciples information on signs of the end of the age. The reason we have verses 4-51, is because the disciples asked him “what will be the sign of your coming.” He begins by talking about wars, rumors of wars, earthquakes and famines. It would be totally irresponsible to ignore the context of the words of Christ as it pertains to the prophecies and signs relating to the end of the age. First letâ€™s take a look at an expanded segment in Matthew 24:6-14 (NIV). Here Jesus indicated specifically that the primary signs are not the earthquakes, wars (Psalm 83 or any other war), famine (financial crisis is a form of famine by the way), but the preaching of the Gospel of the Kingdom. The sings or prophecies that most people focus and chart ignore this key element which always leave us guessing. Before I get too far, I do want to state that there are elements to your overall philosophy that I agree with, in that Jesus will not return until ALL that was prophesied comes to pass, as evidenced by Matthew 24:35. I am not sure if you are aware but the Gospel of the Kingdom is being preached around the world as a result of the work of the Holy Spirit in the life of Dr. Myles Munroe. Feel free to Google his name or any of the books he wrote on rediscovering the kingdom. Although he passed away late last year, the work begun in his life by the Holy Spirit in the 1970s, has sparked a movement in the Caribbean, Africa, Australia, and Asia. Only in the US, has the message moved slowly due to a societal falling away from the things of God. Having said that, I now shift to the events predicted by Jonathan Chan in the Shemitah and Harbinger. During the week of this posting, the stock markets around the globe have already lost 6% of their value, which is the exact same path we saw before 2001 and 2008. We know the current sabbatical cycle is expected to end on Sunday, Sept 13. If at this point, the Dow falls below 15,752 or the S&P 500 below 1900, we would be able to say the prediction/prophetic words from Chan have come to pass [These values are attributed to the known valuations attributed to US economy recessions. A downward trend in economic growth of at least 12%, within a quarter of the year]. This is specific, quantifiable and has a exact time line which can be measured. Lastly, I do have a couple of questions for you Tim. I have looked through several pages of your website and your postings, and have not found any comments about the Holy Spirit. My question is this, are you filled with the Holy Spirit? Is your work led by the Holy Spirit or intellect? I only ask because, you indicate your views based on your research, track history and your thoughts, but I have not seen an instance where you stated you were being led by the Holy Spirit. As believers we are not to lean on our own understanding (Prov 3:5-6), nor trust your heart because it is wicked (Jer 17:9). I pray this does not offend you, but I firmly believe that anyone, no matter how educated, researched, distinguished, or verifiable track record; who intends to proclaim the word of the Lord must do so as they are being led by the Holy Spirit. For Christ makes multiple references to this when he tells the disciples that no man is to call them rabbi, because Christ is the only true rabbi. You were doing good until you said some dead guy few have heard of fulfilled Mt 24:14! Mt 24:14 happened last time through real prophet/apostles and will again. Not through some missable, powerless Christian pastor like we’ve put up with for centuries. However, in reading what you said, I now agree with you that Mt 24:14 is a sign. Just as the prophet Elijah coming is a prereq to the end, the message of the Kingdom he puts out must be too, as you said. These both come before Wormwood, the wholly unmistakable sign of the end Jesus listed first. Why do you ask me to claim the HS guides me? What a bogus claim that would be. That’s what false prophets say to deceive people! It’s up to each of us to test the words of all teachers, even apostles. The Bereans did this with apostle Paul who did have the baptism of the HS. They were called noble for it (Acts 17:11) rather than seeing he had the HS and being happy with that. Do your homework and decide if my teaching lines up with Scripture. Don’t try to judge if I have the HS or or only intellect. Your counter arguments are very weak and fall short of the arguments Chris White presents in his video. In point #1, you fail to provide evidence of a war in Psalm 83. Additionally, you do not provide any other passage of the Bible that corroborates a 10-nation war against Israel. In point #2, you fail to show where the actual prophecy is contained in Psalm 83. Not one verse; not one word; not any indication of eschatological language. In point #3, you did not present any counter argument to the fact that the events in Psalm 83 already occurred in Asaph’s day. “It can always be a dual prophecy” is simply an excuse, not an argument. In point #4, again, you did not present a substantive counter argument. Simply because Psalm 83 is “similar to other war prophecies,” as you say, does not prove the Psalm is prophetic. Since you have failed to prove there is a war in Psalm 83, your assertion that it’s prophetic carriers no merit. In point #5, you failed to provide any counter arguments whatsoever. In Chris White’s video at 2:27, he challenges anyone to show evidence of a war in Psalm 83. I have yet to see this evidence either here on your blog, the internet, or in a formal setting. The war of Psalm 83 continues to be newspaper exegesis fueled by the incessant unrest in the Middle East. There is nothing in Psalm 83 that suggests the nations there do anything more than conspire against Israel. There is no description of a war or a conflict of any kind and no prophecy in any of the verses. The Psalm is purely imprecatory and God does not provide an answer to Asaph’s lament. Wes, thanks for your comment…I guess, lol. I mean, c’mon, do you hear yourself? The vehemence with which you give me zero credit for any of the points I made, saying I “failed,” there is “nothing” prophetic , “no prophecy” and it’s “purely” something other than prophecy, makes me wonder immediately if you realize how biased or emotionally invested you sound? FYI, I’m not believing what I do about Ps 83 based on current events. I’ve recognized it as a prophecy since 1992(!) before I even had M.E events on my radar. That’s because it lines up with other end time ME war prophecies like Isaiah 17. This was long before the fad you and Chris White seem to be reacting to. Anyway, it’s OK if you can’t find any value in my arguments because lots of other people do. If you and your buddy (right?) Chris White don’t believe Ps 83 is a prophecy it does not matter. The end time M.E. war spoken of in many OT prophecy is still there and coming regardless…and that’s not based on M.E. current events speculation. Will you tell us what was the method of your salvation? What was your experience? I’d love to hear your story. I’m sure you remember me from other discussions. Never make someone pay to hear your salvation testimony. That should be something you wear proudly on your sleeve and available without any cost. The book, which I own, is one that everyone should buy and read, but not to get your testimony. Your testimony will encourage more people to buy your book, not the other way around. I just read an interesting book by Andrew Louf regarding the number 666 called “Fair Warning of the Coming Age.” (www.fairwarningbook.com) In Revelation 13:17-18, the apostle John asks 4 questions. What is the name, number, and mark of the beast and what is the name of the man with the number? At the end of Revelation 13:18, we all know that John wrote a number. Andrew Louf discovered that the number John wrote is the exact chapter and verse in the Quran with the four answers!!! (the website has the four answers) Amazing because John lived 600 years before the Quran was even written so this could only be the work of the Holy Spirit. This feeds into the now thriving theory that the Islamic Empire is the Fourth Kingdom of Daniel and not a Revived Roman Empire. How could this be a coincidence? I read with interest some of your writings. With some I agree but with others I am on the fence as we see through glass darkly. In others we may agree to disagree. But generally speaking there is good consensus in many things. With regards to Arabs not attacking Israel because of nukes, it is a statement repeated often so it must be true, right? Wrong! In 1973 Israel had nukes yet it was almost over ran in Egypt and Syria. The tide was turned due to an emergency rescue supply bridge by the US. It is said that Israel threatened to use the Sampson option and US intervened directly. In wars against Hezbollah in Lebanon, the possession of nuclear missiles by Israel didn’t play any significant role. It is claimed by some that the Saudi royals have jewish lineage. If true, this would be one powerful reason why there is no funding from the Kingdom and from the Gulf Sheikdoms for arabs attacking Israel. But ISrael, Saudis and Qataris seem to follow similar agendas and collaboration vis-a-vis opposing or de-stabilizing Shiites or multi-confessional arab countries like Syria, Lebanon, and Yemen. Prophetically speaking there is no participation of Ishmael against Israel. It is more like a rebuke in Eze 38:13. Likewise, Jordan which is part of the Western coalition of nations and signatoire of a peace treaty with Israel is unaffected by the Anti-christ invasion armies. Dan 11:41 He [the fierce ruler of the last days] shall enter also into the glorious land, and many [countries] shall be overthrown: but these shall escape out of his hand, [even] Edom, and Moab, and the chief of the children of Ammon. In the Battle of Gog and Magog (Ezekiel 38), Moab (Jordan) is NOT among those listed, attacking Israel. Moab is not mentioned. Finally, I would like to remind you that Isaiah 19:18-25 tells us what YHWH plan is to make Syria, Israel and Egypt a troika of His will. 1. True they had nukes, but what you’re forgetting is that having them is one thing, and having the will to use them and be a pariah is another. 1973 was the first time Israel loaded nukes on the fighter jets on the tarmac and was ready to use them. The world took note. Hezbollah are terrorist in Lebanon. You can’t bring out the nukes for that and they know it. They can terrorize Israel, they just can’t wipe it out or the Samson Option comes into play. 2. Only a minority say what I’m saying about why the Arabs are not attacking en masse since 1973 because of nuclear superiority. Most predict the Ps 83/Isaiah 17/Damascus is coming without anything quite so hard to achieve first every year. All they need to see is a flash of conflict or another step toward Arab nuclear weapons and they predict Damascus. I’m not so sure about the rest of your prophecy interpretations. Several chapters predict a future devastating nuclear-like obliteration of Israel’s neighbors in conjunction with a massive attack on Israel that results in the world’s oldest inhabited city being ruins. Clearly unfulfilled. It will happen regardless of troikas. When the Arabs think they are ready to take on nuclear Israel and not sooner, we’ll see it. Hence the delay of a similar confederate attack since 1973 now four decades ago. This was adopted by PNAC and Wesley Clark let the cat out of the bag saying that after 911 there was an agenda inspired by a neocon cabal in the Pentagon and State Department to overthrow 7 countries in MENA. These included Iraq, Syria, Yemen, Syria and Iran. So this is what we are watching developing and this is why the prophecy in Isa 19:18-25 with an end result of a troika of Syria, Egypt and Israel is against the Yinon & PNAC plan of depopulation and land annexation. With regards to Damascus being turned into rubble this isn’t new by any stretch of imagination. Many await the destruction of Damascus in fulfillment of prophecy but the French bombarded Damascus, which they had regime-changed in 1920, in 1925, 1926, and 1945, and they pacified the city with martial law during most of the â€œpeacefulâ€ intervals. I’ve heard rumors… But I’ve learned to ignore things that lean towards conspiracy that I cannot verify as they are not safe to make conclusions, decisions or predictions off of. Pretribbers say the same thing for their smooth saying of “pretrib rapture truth.” The mainstream lies believed are comforting or they would not be popular. Preterism is the same. Hello big fan of your website I have a question why do you use 2024 in your road map is that when you think the end might happen? Nick, my book explains that. 2024-2030 is the next possible Sabbath year cycle window for the 70th week. 2016-2023 is ruled out already because we’re in it and nothing is happening. Don’t know if you or any of your readers know how He has shown us the beginning from the end, (He being the Alef and the Tav.) The entire plan of salvation is contained in the Feasts of YHWH. By the way , Scripture does say this gospel of the kingdom (the gospel Messiah preached) will preached in all the world for a witness unto all nations. Then the end shall come WHEN you see the abomination of desolation spoken of by Daniel the prophet, stand in the holy place. This will begin the tribulation, not the preaching of the kingdom gospel. In any case God is in control and that means I am in a controlled environment…in the meantime we must occupy until He comes..for we look for a city whose builder and maker is YHWH. That said I was directed to your site and I must say you are insightful! Thank you, Tim for your exegesis. Shalom, Carol! Yes, I teach my readers about the feasts being prophetic in my book Know the Future http://www.escapeallthesethings.com/volume-order.html. Actually nobody here said the proclaiming of the good news of the kingdom was a sign of the tribulation. It is a sign of the end coming very soon, next (Wormwood, basically). The abomination tells you the tribulation is in 30 days, but by that point it will already be well known and proclaimed by Elijah and others. So if it is a sign of anything, it is a sign you did not believe the prophet of God, waited until you saw the Antichrist take over with your own eyes and now have a narrow margin of error to save your skin still. If the abomination is “not really a sign to look for,” why did Jesus say it is? Mary, Jesus said the abomination meant you have to run like hell. If you wait until that “sign” (as you call it), it’s now perilously close to the Antichrist total control and you have to now get to Petra on your own rather than with the group that left at the 1335 day mark.